Cornelie Usborne is Professor emerita of History at Roehampton University and Senior Research Fellow, Institute of Historical Research, London. She has published widely on the history of women, reproduction, birth control, sexuality and medicine in Modern Germany. She is the author of The Politics of the Body in Weimar Germany. 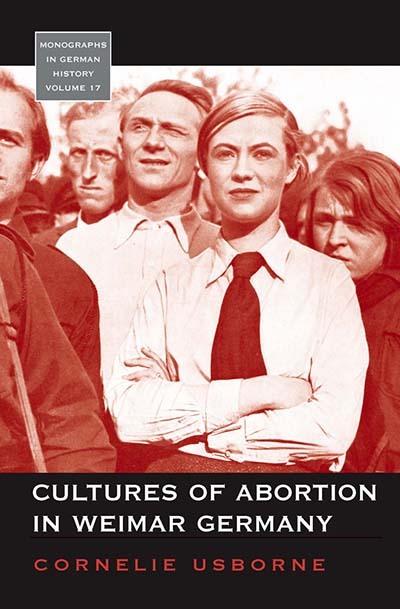 Women¹s Reproductive Rights and Duties (London: Macmillan and Ann Arbor: University of Michigan Press, 1992) and she edited, amongst others, `Picturing the Past', the special issue of the journal Cultural and Social History (with Charlotte Behr and Sabine Wieber, December 2010); Cultural Approaches to the History of Medicine. Mediating Medicine in Early Modern and Modern Europe (with Willem de Blécourt, London: Palgrave Macmillan, 2004) and Gender and Crime in Modern Europe (edited with Margaret L.Arnot, London: UCL Press, 1999).